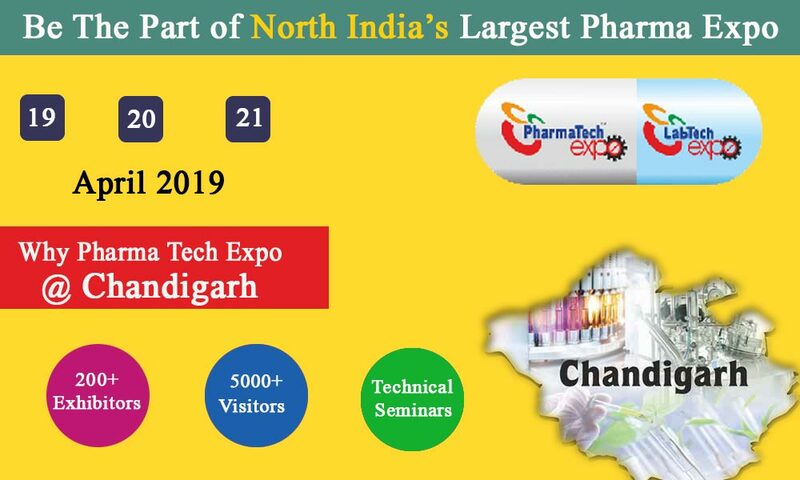 PharmaTech Expo 2019 will be hosted from 19th to 21st April 2019 in Chandigarh. PharmaTechnology Index.com Pvt. Ltd. Organizes the 9th Edition of PharmaTech Expo 2019 & LabTech Expo 2019 which will enhance business opportunities in North India. PharmaTech Expo 2019 & LabTech Expo 2019, an International Exhibition on Pharma Machinery, Formulations, Nutraceuticals, Lab, and Analytical & Packaging Equipment is being organised from 19th to 21st April 2019 at Parade Ground, Sector 17, Chandigarh. This will give the best platform to Suppliers, Manufacturers, Industrialists, Entrepreneurs, Buyers and Consultants. PharmaTech Expo 2019 & LabTech Expo 2019 is a premier event dedicated to pharmaceutical innovation, technology and knowledge. The successful atmosphere of the past events of PharmaTech Expo has encouraged us to conduct the event again. Drug Marketing & Manufacturer's Association (DMMA) is our Event Partner. DMMA is having more than 125 active members in their association. For more information contact us on 9971907300 or expo@pharmatechnologyindex.com.